This Sudoku type appeared in World Sudoku Championship 2011 and I created it for the practice to Indian Sudoku team. 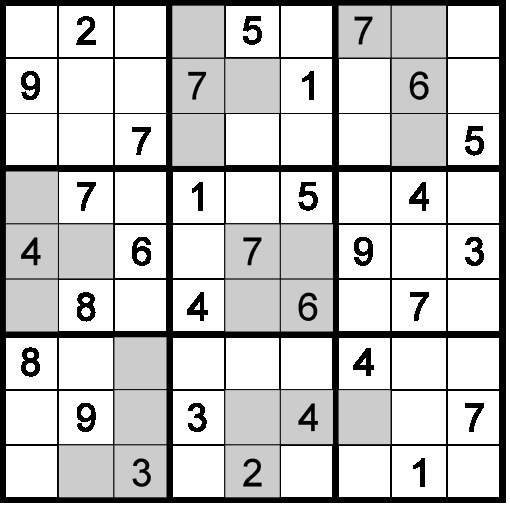 This is an easy Sudoku to give introduction to this Sudoku type. I am re-posting this Sudoku 10-20-30 as my 32nd Sudoku in Fun With Sudoku Series. Classic Sudoku Rules apply. Additionally, the sum of any grey region equals to 10, 20 or 30.